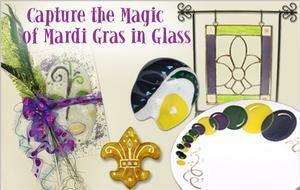 Mardi Gras is a day full of parades and indulgence - it's a virtual feast for the eyes. Find inspiration in the masks and rich hues that transform a historical city into a festival for a day and create something full of whimsy. Follow the link below to download this Free Project Guide. Original projects by Delphi Artist Julie Haan.